Definition: Electromagnetic Pulse (EMP): A burst of electromagnetic radiation that can damage electrical and electronic devices, observed as a byproduct of a nuclear explosion. Could an atmospheric nuclear explosion in just the right place over the U.S. cause massive damage from the ensuing EMP pulse? Absolutely, the evidence is strong that potential EMP effects would be wide-ranging and would be very difficult from which to recover. When many people first learn of this potential, devastating disaster, they often wonder if there’s any use in protecting electronics from electromagnetic pulse — electronics that, if they remained undamaged — could provide an enormous survival advantage. DIY PROJECT: Learn about making a homemade Faraday container with these instructions for how to make a Faraday cage. These types of containers are known to protect electronic equipment. 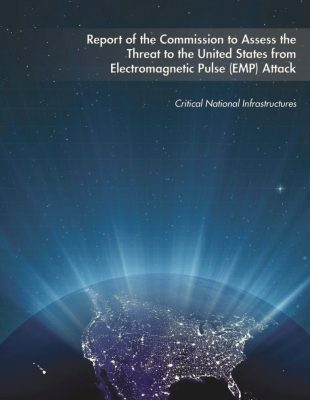 A great read about these effects is the Report of the Commission to Assess the Threat to the United States from Electromagnetic Pulse (EMP) Attack (2008), a report to the U.S. Congress. It’s more readable than you might think. The EMP Commission, as it has come to be known, used historical and experimental data to analyze expected damage in all aspects of modern society. For the most part, the EMP causes damage by inducing strong, damaging electrical currents in wires and unprotected electronic components. But as time goes on, I’m more and more convinced that doomsday scenarios of an EMP attack on the U.S. that totally destroys all electronics and takes down our whole electrical grid are popular because they’re easy. The scenarios are “easy” because if you assume all electronics are fried by the EMP, you don’t have to worry about reconstituting our electronics-dependent civilization. However, there are a lot of reasons to believe that while an EMP attack would cause significant damage, it is not an automatic “extinction-level event,” and we actually have some control over our destiny. Let’s define our discussion: All of us have electronic devices upon which we save important information: phone numbers, addresses, business transactions, documents, photos, etc. 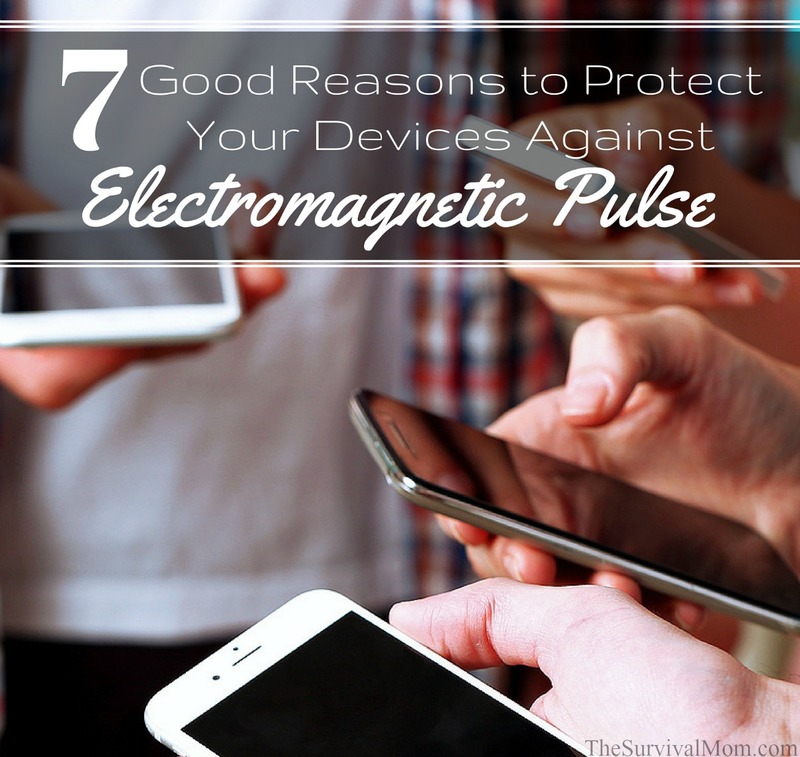 Whether it’s a smartphone, a computer, ebook reader, a flash drive, or a digital camera, all of our devices have some level of vulnerability to damage from a strong electromagnetic pulse. Modern vehicles and appliances have all become electronics-dependent as well. But vulnerability does not automatically doom the device; your behavior can reduce the vulnerability. Some military command, control, and communications systems have been “hardened” against EMP effects since the Cold War days. The Navy and Coast Guard actively watch for unusual cargo ship behavior, as this is one platform from which an EMP-causing ballistic missile could be fired close to the U.S. mainland. The Navy and Air Force routinely launch interceptors to investigate unusual aircraft approaching U.S. airspace. While not generally publicized, the U.S. has anti-missile defense systems fielded by the Army, Navy, and Air Force. National Missile Defense is alive and well in the U.S. The National Operations Center in Washington D.C. has near-instantaneous and simultaneous communications with the emergency management “Warning Points” in all 50 states. A missile warning can be transmitted in seconds, allowing critical infrastructures like power grids and communications networks to shut down and limit damage to EMP-vulnerable components. Federal, state, and local emergency management officials can now use the Integrated Public Alert and Warning System (IPAWS) to alert the public to take specific actions like shutting down communications devices, stopping industrial processes like water and fuel pipeline systems, and urging people to exit potentially hazardous areas like elevators. Warning messages can be customized based on the facts of the situation. The strength of the EMP pulse of energy is dependent on distance, sort of like a flash from a fireworks display: close up, the flash can be powerful and almost blinding, but from several miles away the light is weaker, less bright. Similar to light, the pulse affects things within its’ line-of-sight, meaning that in many cases terrain and built-up urban areas will create “shadow” areas unaffected by the pulse. So some people will receive a strong pulse, which could damage their electronics; others will be in the shadow and their electronics will probably be OK. So what’s the point of protecting electronics? If such a disastrous event would occur, what would be the point of protecting our electronics? After all, so many of them are used in very trivial ways. Even so, there are several very important reasons to take the time and effort necessary to keep them safe from the effects of EMP. They can hold vast amounts of information, the equivalent of thousands of books. Although we all love our books for reference and entertainment, when my Kindle holds over 230 books (and each of my kids has their own Kindle with nearly the same number), it’s impossible to say that hard copies are always better. Survival information — If you haven’t yet downloaded and stored large quantities of information related to survival, do it now. Many of these resources are completely free. 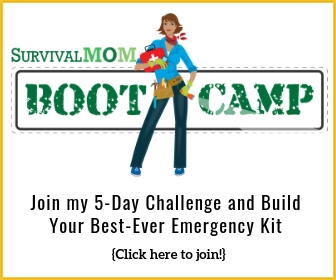 (Check out this list right here on Survival Mom.) Store medical and first aid information on an old laptop, old smartphones, and ebook readers, such as a Kindle. 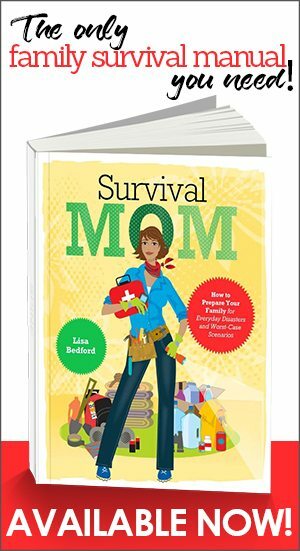 Download books about herbal remedies, food preservation, and off-grid living. Educational resources — Once the dust has settled, and life may never return to “normal” again, it will be up to parents and others in the community to provide an education for children. Homeschooling will almost certainly be required. Download classic literature, non-fiction books related to science, nature, history, and government. Ambleside Online, a free homeschool curriculum, has excellent lists of books, many of which are completely free as ebooks. Entertainment — Your kids’ reliance on electronics, and even your own, may be a total waste of time, but in a worst-case scenario in which your family’s lifestyle changes dramatically, overnight, sources of entertainment could prove to be life-saving. Anything with stored movies, TV shows, music, and recorded books will help relieve stress and provide an important distraction. Keep historical information intact — Family photos and videos, genealogical records, local history, U.S. History, the U.S. Constitution — these will all provide a touchstone to the past. In the book A Canticle for Leibowitz, after a cataclysmic event that destroys virtually all civilization, only a very few written records survive. One is a single scrap of paper, a portion of an old grocery list! Those who survive in a post-EMP world, however long the grid failure lasts, will want and need more than that in order to preserve and continue civilization as well as their heritage. Provide resources for spiritual renewal — Whether or not one is a churchgoer, a world that suddenly becomes a very scary, and likely very violent, will require inner strength. Copies of the Bible and other books of inspiration can easily be stored on ebook readers, computers, and smartphones. Tactical advantages — Having information and the ability to communicate via ham radio or walkie-talkies will give survivors, whether an individual or a group, an advantage over those who do not have those abilities. 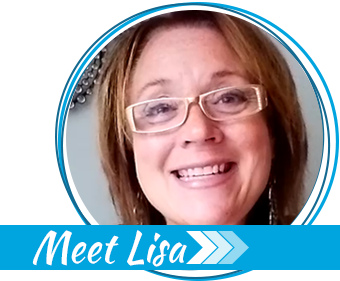 Earn money — With a vast amount of information, the ability to communicate and relay messages, provide entertainment and spiritual support, you’ll have the tools to earn an income and/or barter for products and services you need most. 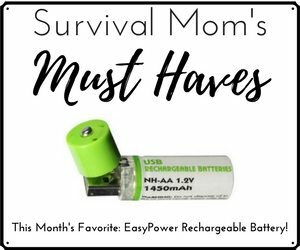 Carefully building one or more Faraday containers and then taking pains to protect individual electronic items is hardly a fool’s errand with all these advantages those devices provide. The safest place for your electronics during an EMP is inside a metal box, (steel is a better conductor than aluminum), commonly referred to as a “Faraday Cage.” Metal tool boxes, file cabinets, even aluminum foil can shield your device from EMP. Learning how to make a Faraday cage is fairly easy. The important thing is to make sure the container is sealed by closing all openings, and is free of wiring that protrudes through the side of the container. The container receives the EMP pulse and conducts it around the outside, protecting the contents of the container from the EMP pulse. 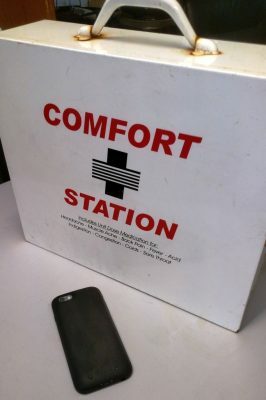 A quick test to check that your container is doing its job is to put a cellular phone inside and close it up; then call the phone with another phone. If you hear it ring inside the container, the container isn’t effective as a Faraday Cage. If it doesn’t ring, you can have some confidence that it will afford some level of protection for electronics kept inside. 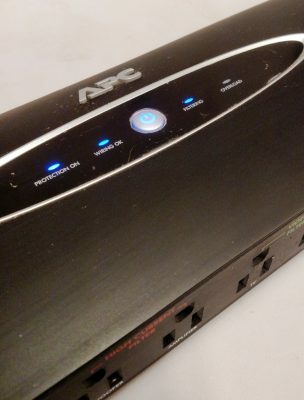 At home and around the office, the next best defense for your electronics is to connect all power supplies to quality surge protectors. 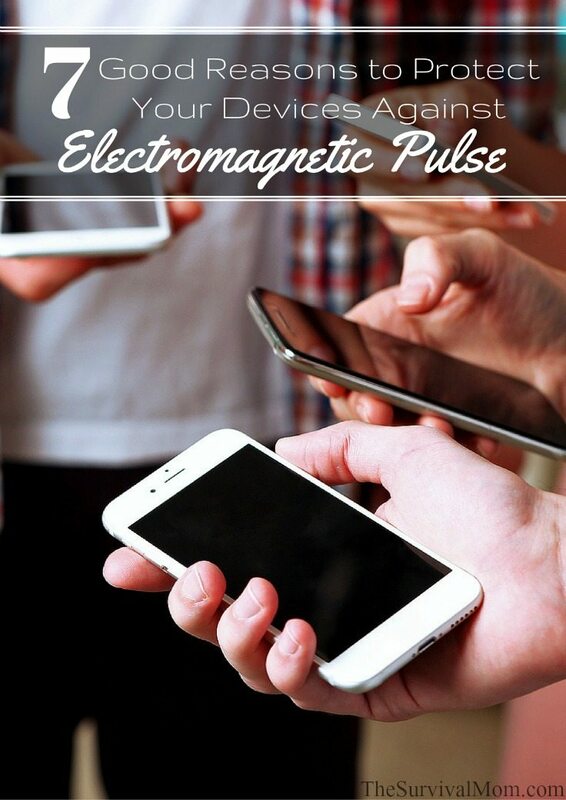 If the EMP pulse isn’t strong enough to kill your connected electronics immediately, they still may be vulnerable to the expected electrical current surge. The surge suppressor may or may not help, but it is an inexpensive additional protection. One last protective measure is to have a whole-house lightning arrestor installed in your electrical panel. The part is less than $100, but it should be installed by an electrician. It absorbs a current surge, such as that from a nearby lightning strike. Not a 100% solution, but every level of protection you add tips the scales in your favor. Another reason to protect your electronics is that we have learned to back up and protect data outside of our devices. The ubiquitous “Cloud” backs up a great deal of our data, just in the course of life. I’ve noticed that my Windows 10 laptop steers me into using their “OneDrive” cloud-based storage by default, requiring me to consciously choose to store documents on my laptop if I disagree. Smartphones often use their data providers’ backup systems, another “Cloud” variant. So in addition to being able to restore your contact list when you drop your phone in the toilet, in many cases a good part of your data is backed up by your carrier. READ MORE: The Cloud isn’t just for worst-case-scenario data storage but for dozens of other, everyday survival applications. Read more here. Professional data centers are well-protected against electrical hazards, and backup protocols regularly create off-line copies for disaster recovery. Protect your devices so you can make use of the backups that probably will survive. Having your stored information on more than one device is an inexpensive way to provide this protection yourself. We are raising an entire generation that was brought up with home computers, tablet devices, and smartphones. In many cases, your teenager is much more tech-savvy as to these devices that you are. Can you imagine the loss and disorientation they are going to feel when their world of connectivity is heavily damaged by an EMP? If for no other reason, protect your devices for the next generation. Lights Out by Ted Koppel — non-fiction. Reviewed here. How would you be able to charge your devices though after an EMP? And wouldn’t an EMP “fry” the cell towers making access to the cloud impossible? The main reason to protect these devices is to use them for storage. Buy a few inexpensive solar battery chargers, make sure you have plenty of the proper cords, and then protect everything in a Faraday container. True, and also true is that an EMP may never happen. I thought this was a very good article. I especially like the idea of backing up to a flash drive. They can hold tons of information, easy to store or take with you in an emergency.